It’s fall now, and it’s a good time to try new haircut this season! There are so many hair styles for you to choose from! 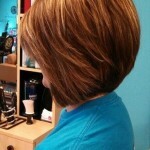 If you wear long hair, why not cut your hair a little short this season? As you can see that there are so many celebrities sport short haircuts in this year. Yes, the short hair is really popular in recent years, even Miley Cyrus also sports short pixie cut now, also Cameron Diaz cut her medium length hair short recently. Here is a sleek short cut from Emma Watson, she grow her short pixie cut a little longer now, as you can see that she sprots a beautiful layered sleek razor cut this season. Emma Watson’s short hair has edgy layers that give it a high-fashion look. This popular short straight hair style is tapered into the nape with jagged cut layers angled down to the jaw-line and left long enough to be tucked behind the ears. The long bangs are swept to the side to soften the face and completes the over-all look magnificently. 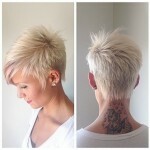 Do you love this sleek short haircut? 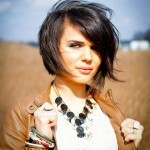 This casual short straight haircutis great for Round, Oval, Heart, and Triangular face shapes.